Описание: ткань блузочно-рубашечная; силуэт приталенный; застежка в полную длину, пуговицы в форме цветка; рукав короткий, слегка присобран по верху и низу; воротник заокругленный; карман нагрудный с вышивкой цветка. 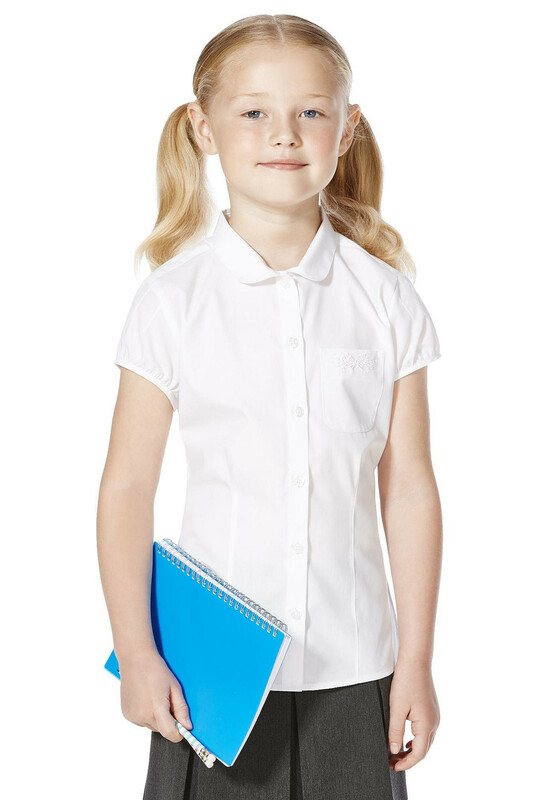 Bring a girly touch to her school uniform with this blouse from F&F’s schoolwear range. 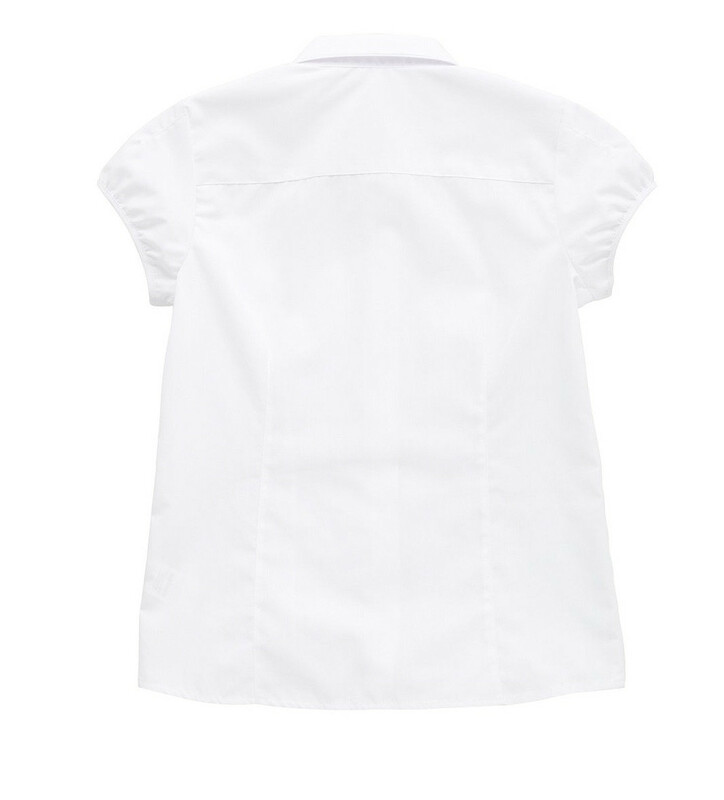 The blouse is carefully considered in a practical easy-iron fabric that is machine washable and tumble dry-friendly for optimum practicality. 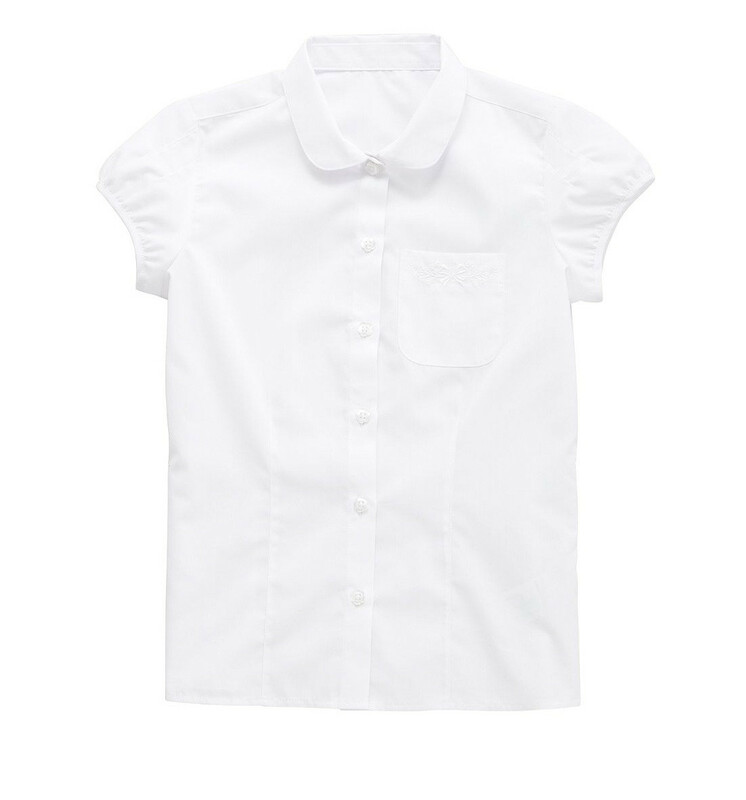 Offering long-lasting durability with a smart look, the blouse features a rounded Peter Pan collar, flower-shaped buttons, flower embroidery chest pocket and a more fitted shape with front and back darts. 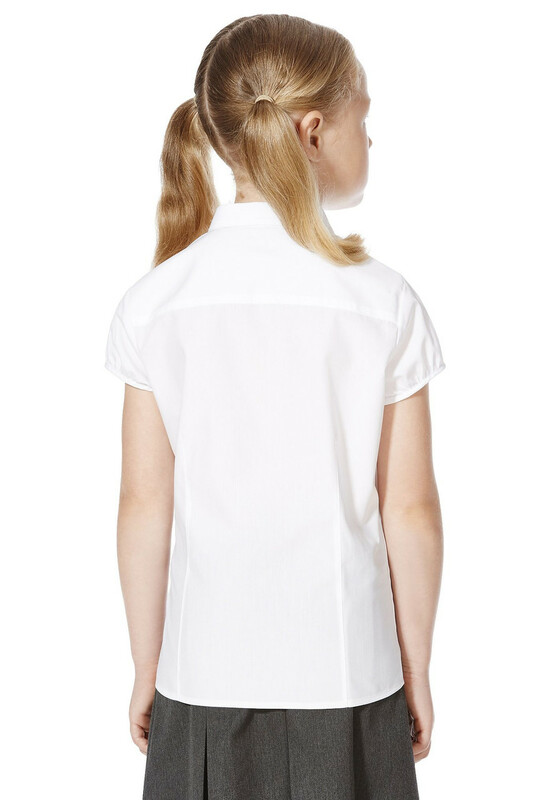 Short puff sleeves. 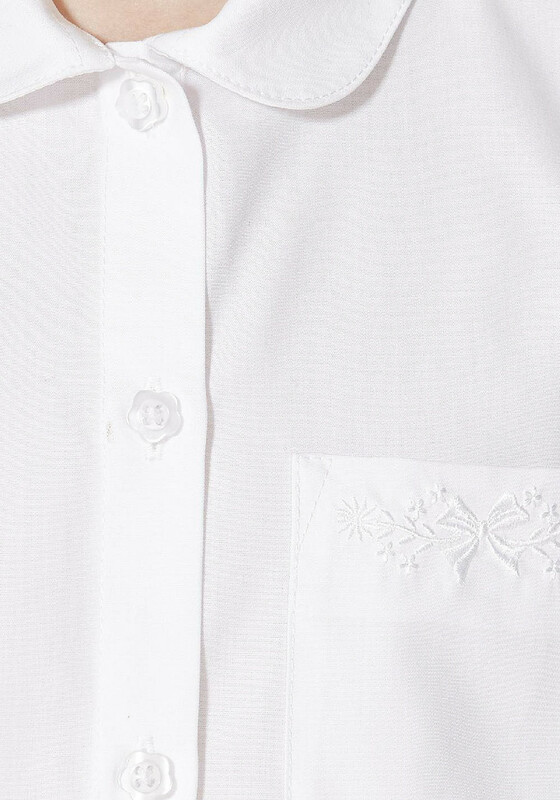 Easy iron means clothes only require light ironing.